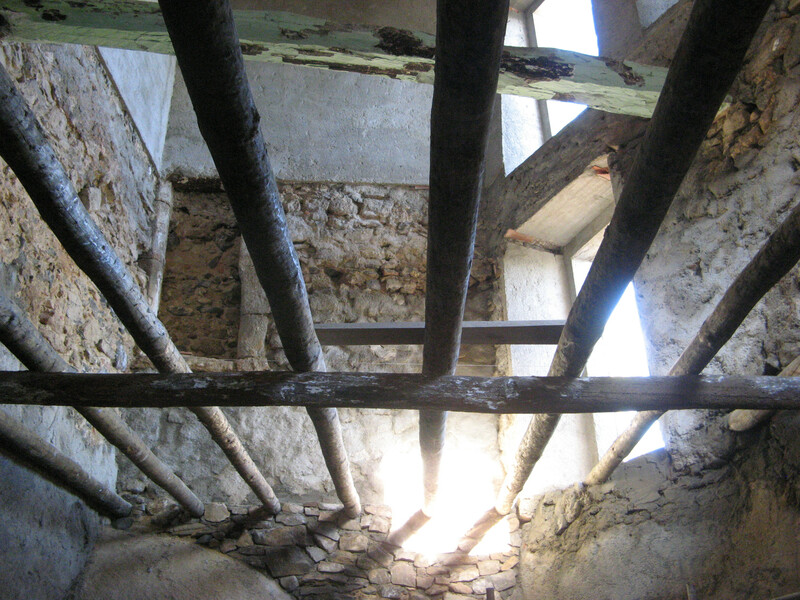 One of the goals in renovating this old structure is to retain the traditional materials and construction techniques. After all if they built it in the 12th century and it is still standing it must be alright! 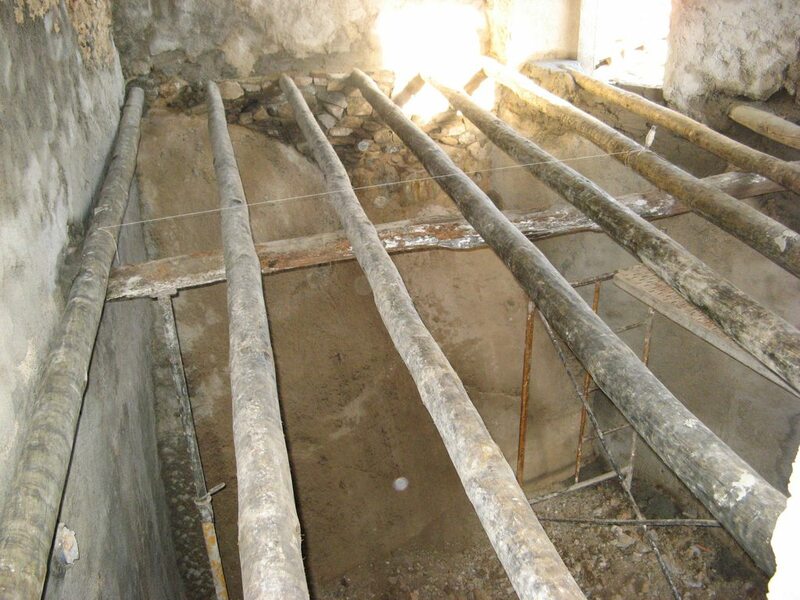 Luckily our contractor has experience in restoration and traditional Alentejo building techniques. 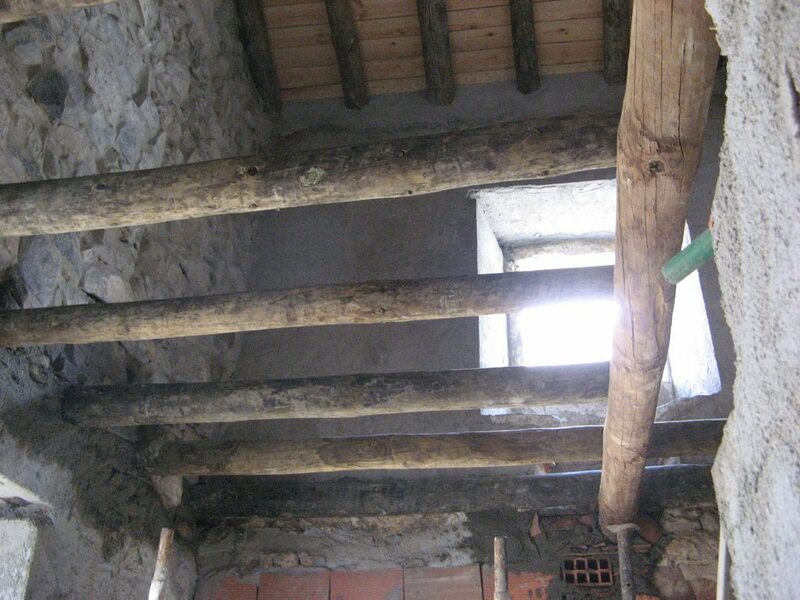 The floors, like the roof, is built of logs embedded in the stone walls. There will be multiple layers of pine boards laid over the logs completing the ceiling and the floor materials. 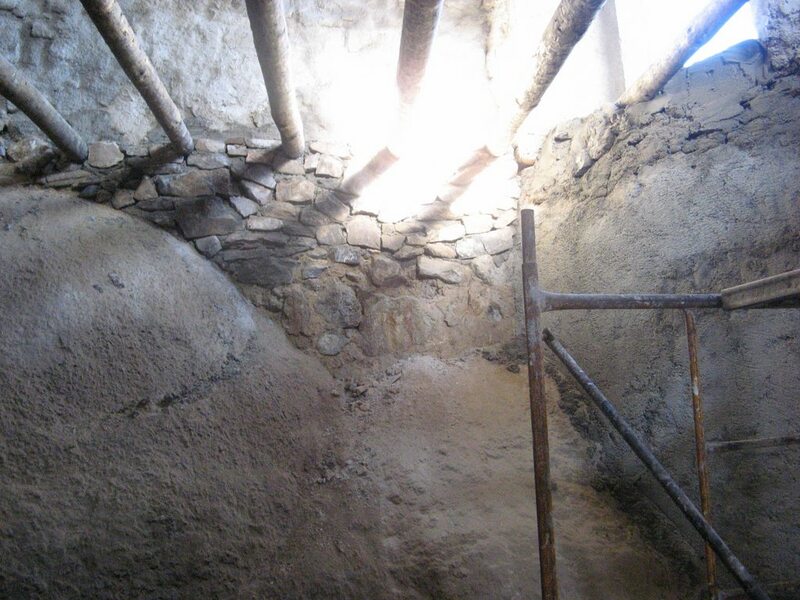 This one also shows the boulders at the back of the kitchen which will remain exposed when we are finished. Tagged construction, Portugal, restoration, ruin. Bookmark the permalink. Ah, large boulders inside the house walls. A wonderful tradition continued. p.s. I’ve been meaning to track your progress via this blog for a year. Ah that a busy life means delayed gratifications. As this is the second of your posts, I am excited to follow your journey.